Osip Mandelstam has in recent years come to be seen as a central figure in European modernism. Though known primarily as a poet, Mandelstam worked in many styles: autobiography, short story, travel writing, and polemic. Mandelstam's biographer, Clarence Brown, presents a collection of the poet's prose works that illuminates Mandelstam's far-ranging talent and places him within the canon of European modernism. 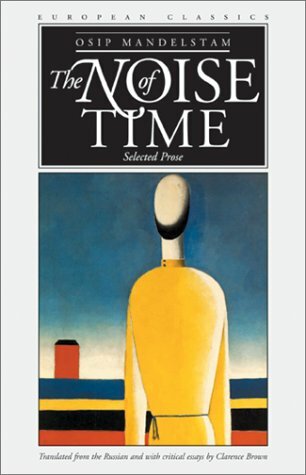 This volume includes Mandelstam's "The Noise of Time," a series of autobiographical sketches; "The Egyptian Stamp," a novella; "Fourth Prose;" and the famous travel memoirs "Theodosia" and "Journey to Armenia." About: Osip Mandelstam has in recent years come to be seen as a central figure in European modernism.